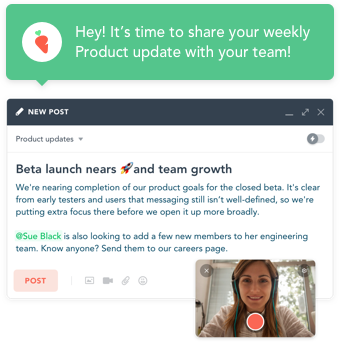 Carrot is the platform for team communication that matters. 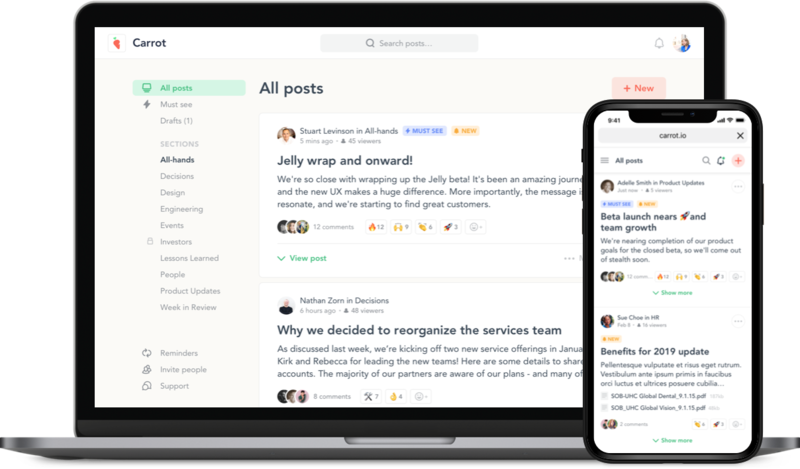 Post important updates, news, decisions and stories that nobody should miss — perfect for remote teams. 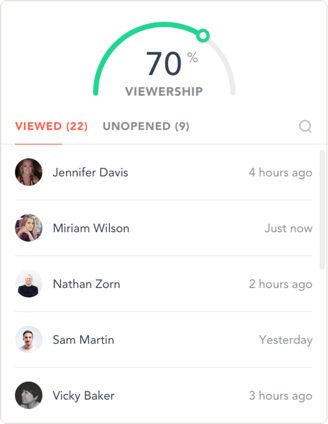 Carrot gives you the space you need to update your team, and even reminds you when it's time to share the latest. 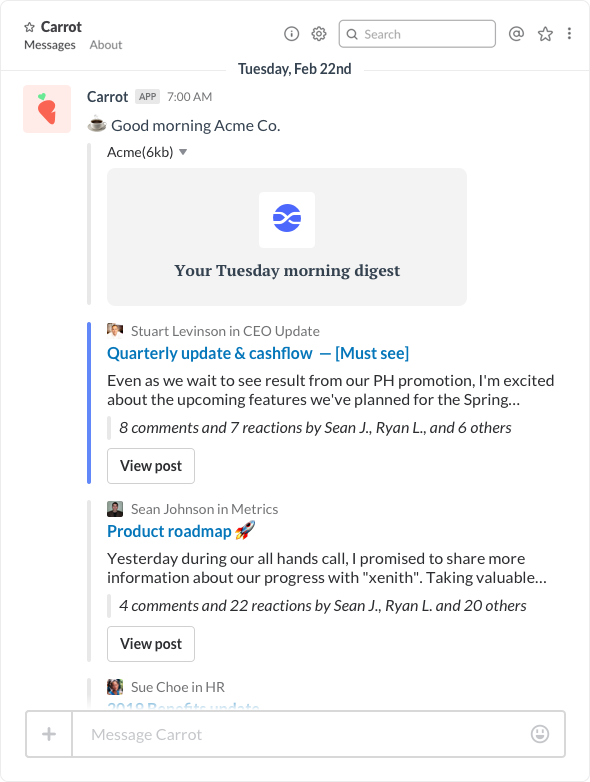 Your team can view and comment on posts in the app, or directly from Slack and email. Rest assured, Carrot updates never get lost in the noise. 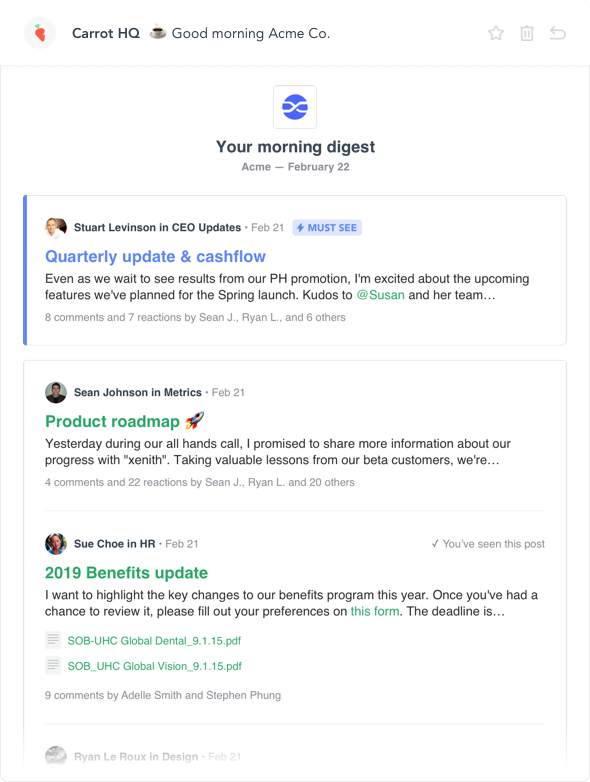 Your team wakes up to a daily digest of what's important. 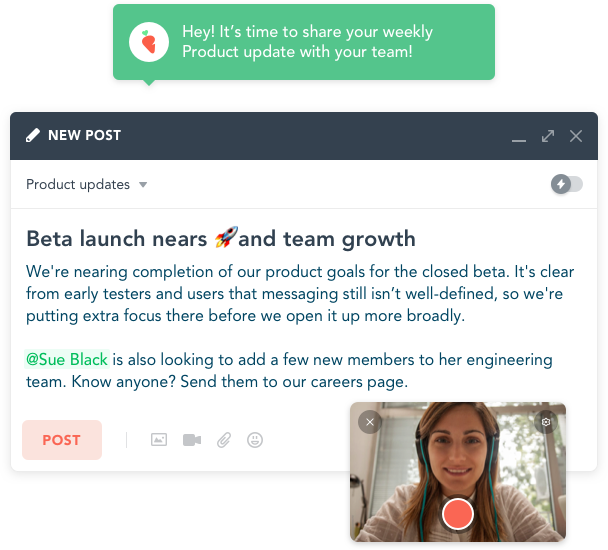 This curated summary makes it easy to get caught up fast - perfect for remote teams. With Carrot, you know who saw your update. If it’s missed, Carrot works in the background to remind them for you. 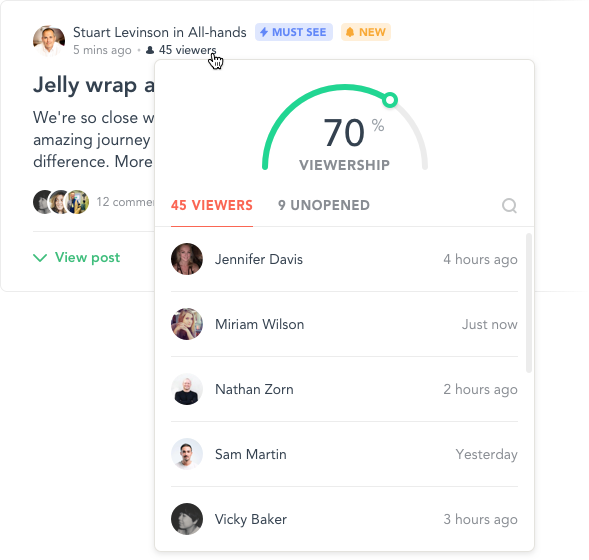 See which updates create energy and engagement, and which ones aren’t getting through. Want to see Carrot in action?